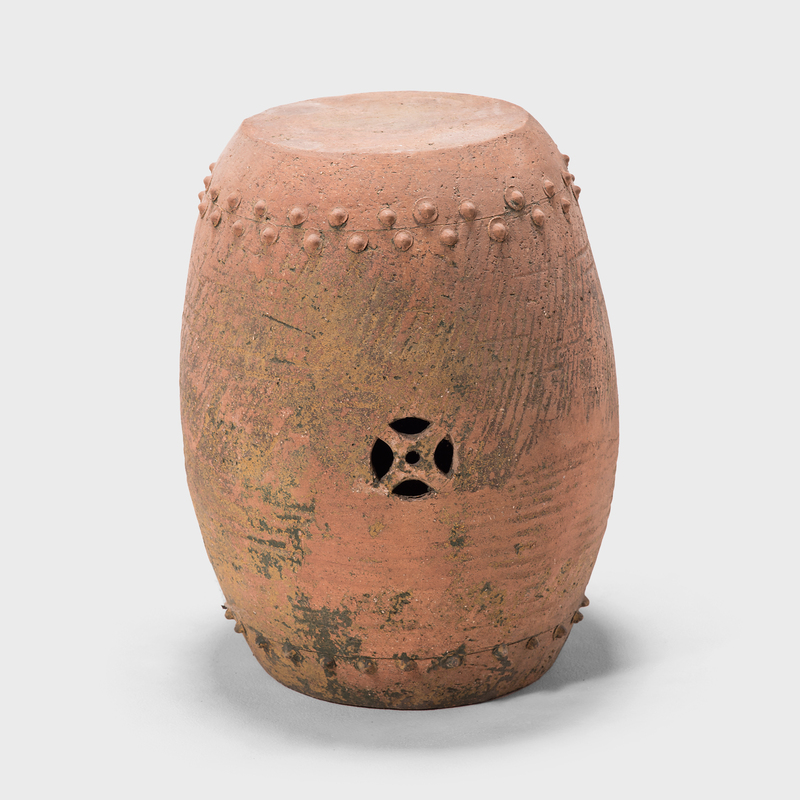 This early 20th-century terracotta garden stool was created in Pingyao, an ancient, respected city in China's Shanxi province. 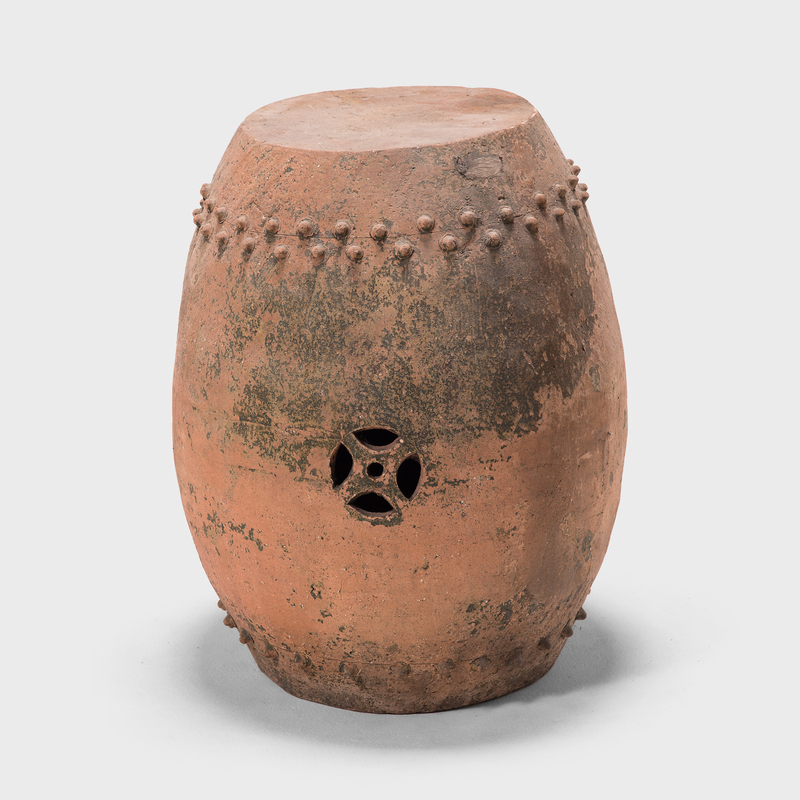 With a history dating as far back as c. 800 B.C., Pingyao is widely known for its well-preserved Ming- and Qing-dynasty architecture. 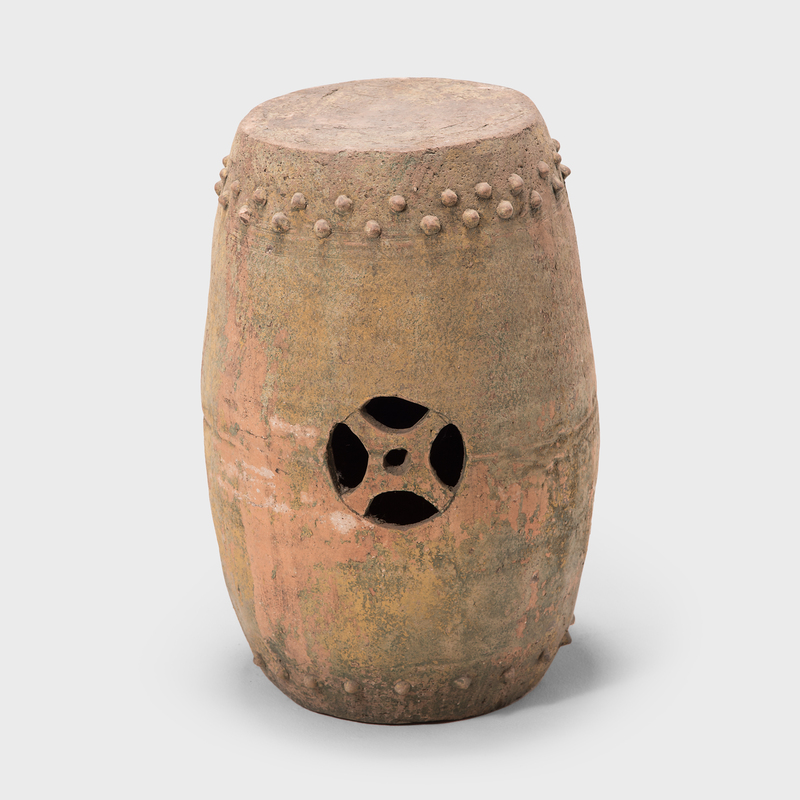 This garden stool keeps with the city's practice of honoring traditional forms with its simple drum-form shape. 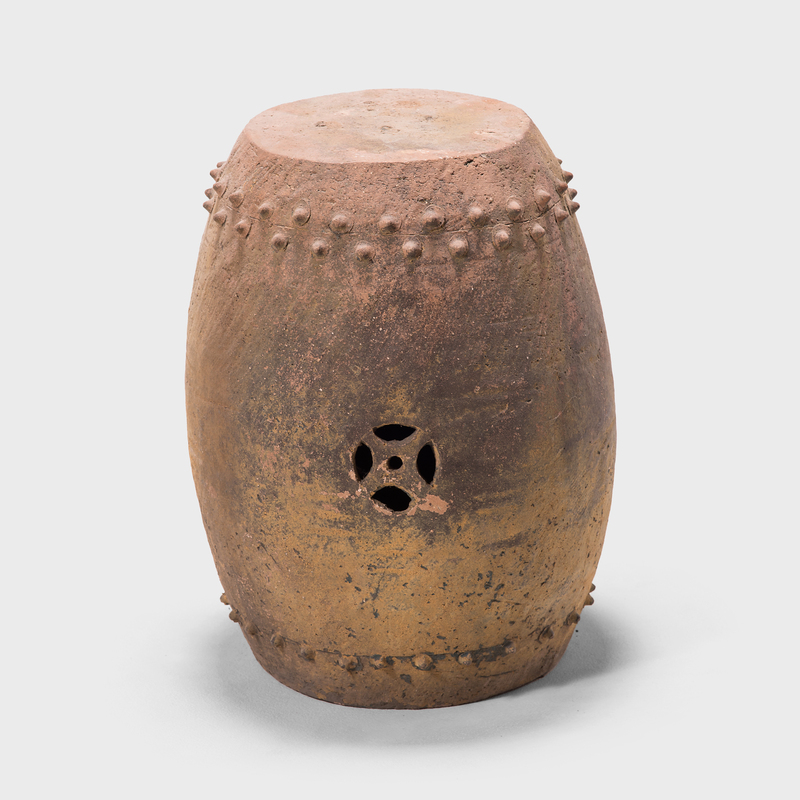 Ringing both its top and bottom, a pattern of boss-head nails imitates those used to stretch a skin on an actual drum, and two eternal coin cutouts perforate the sides, symbols of prosperity. 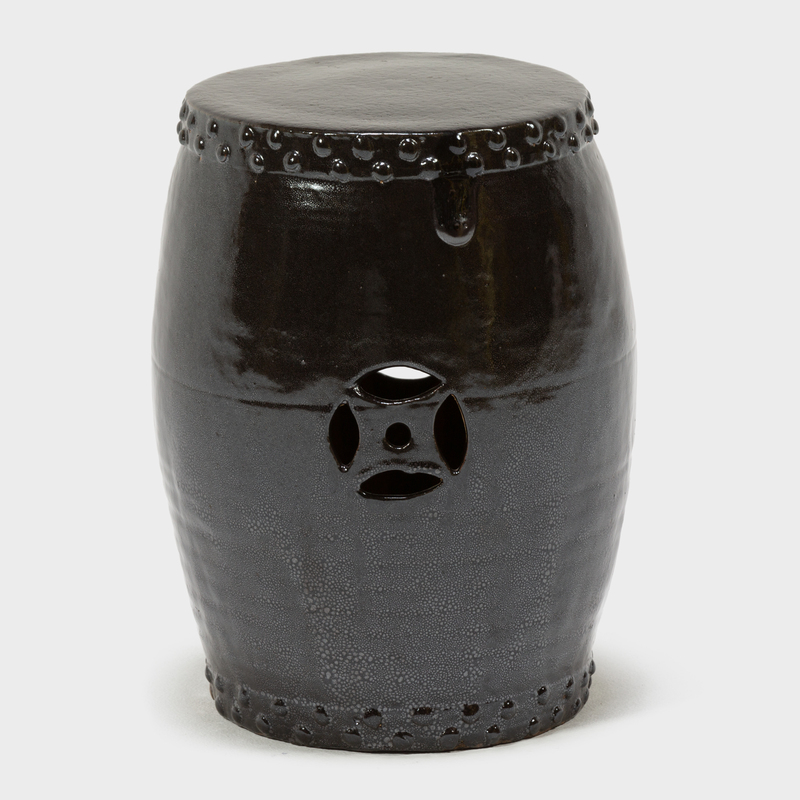 Traditionally used as a place to rest one’s feet, a stool like this is perfect as a garden seat or a small side table indoors or out.